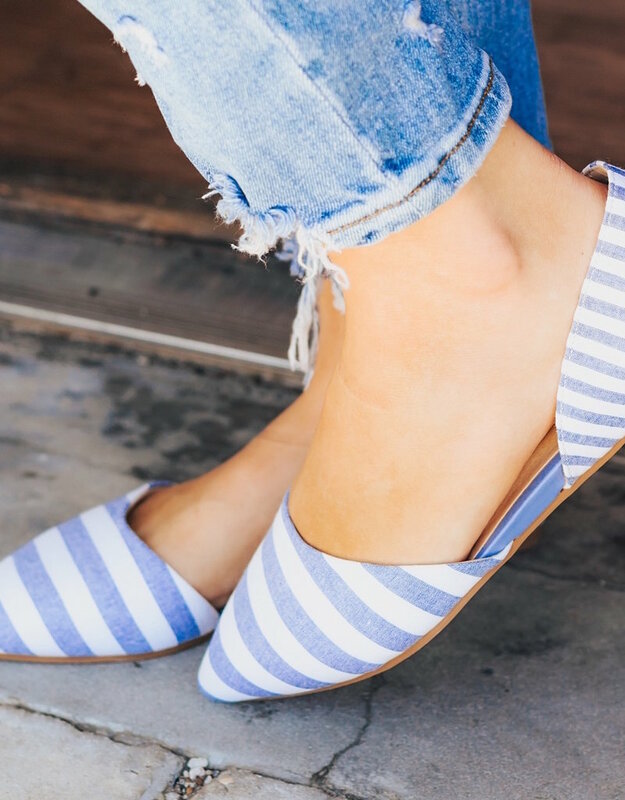 At Luxe, we are always keeping up with the newest and hottest trends to bring to our favorite Luxetomers! 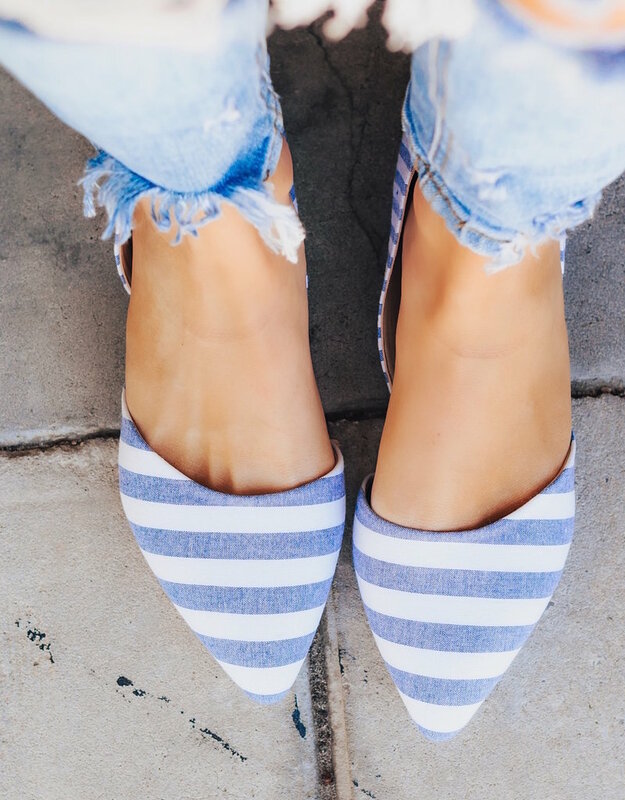 These blue & white striped flats are a serious Trend Alert! 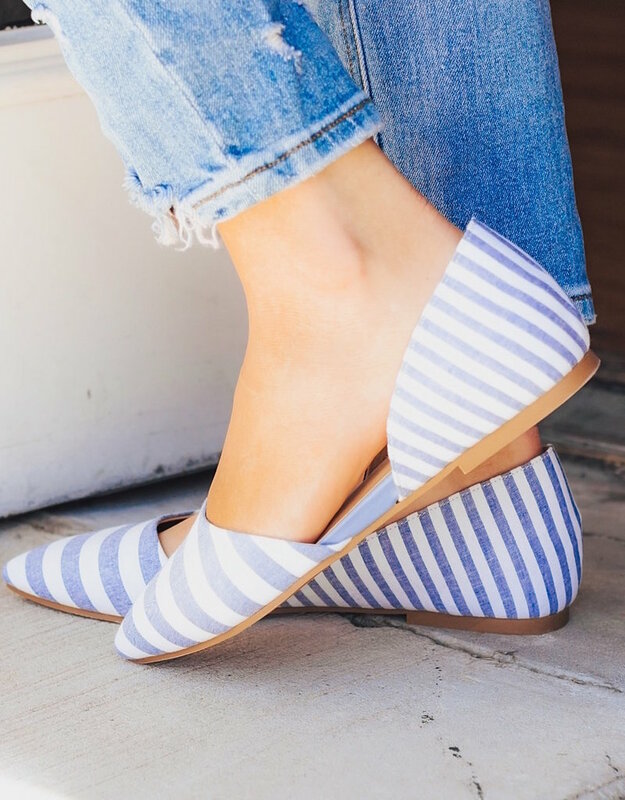 Style any outfit with these darling shoes for spring. Just sit back and watch those compliments roll in Babes!